If you’ve ever pushed your body through something so challenging you didn’t think you could do it (like completing your longest ever run), you’ll know a thing or two about applying willpower. And if you’ve ever grabbed a second helping of cheesecake even though you felt stuffed, you know what it feels like to lack willpower. But is willpower something you can train and develop? Can you use up your willpower? Some studies have suggested that willpower is a limited resource. Certain researchers believe that if you employ every ounce of willpower necessary to get yourself down to the gym, you may have little to no willpower left when it comes to turning down a second helping of pudding later on. A number of psychologists and scientists point to the idea that the more we use willpower, the less we have – a concept known as “ego depletion.” But these beliefs may not be so black and white. Roy Baumeister, psychologist, professor, and author of “Willpower: Rediscovering the Greatest Human Strength” has studied this topic for more than two decades and believes we have limited supplies of willpower but he also suggests that we likely have more of it than we give ourselves credit for. “People have more willpower and energy than they think they have,” he says. Dozens of studies have re-examined and challenged the idea of ego depletion. More current work suggests that if we believe willpower is a limited resource, this can have a negative effect on our self-control, ability to set and attain goals, and our overall wellbeing. “Recent research indicates that mood and beliefs may buffer the effect of willpower depletion,” says Dr. Caren Baruch-Feldman, a clinical and school psychologist and author of “The Grit Guide for Teens: A Workbook to Help You Build Perseverance, Self-Control, and a Growth Mindset. “In other words, if you believe willpower is limited, you may have less of it. Baruch-Feldman believes that the people with the most self-control use their willpower less often and that’s why people who seem to have the most willpower might actually simply be using it more effectively. These willpower warriors convert tasks that require willpower into habits, thus putting certain tasks or activities on autopilot. In other words, for a person just starting out on a fitness journey, driving to the gym after work likely requires plenty of willpower. But for a person who goes to the gym religiously every Monday through Friday, muscle memory and habit make that drive to the gym more automatic. So what can you do to tap into your willpower to hit your health and fitness goals? Here are some expert-approved tips to help. 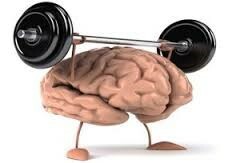 Baumeister suggests we think of willpower as a muscle that can get stronger with regular exercise. “Any exercise helps,” he says. You can work on improving your posture, cleaning up the way you speak (i.e. cursing less often), or better maintaining a clean and organised house (i.e. making your bed every day, cleaning dishes right after you use them, etc.) “These little things build character, that is, strengthen the willpower muscle for more important challenges,” Baumeister says. “We are much more successful when we set our environment up in a way that promotes health rather than thinking we can put ourselves in a tempting environment and not give in,” Baruch-Feldman says. If going out to dinner with a specific group of friends often leads to unhealthy food choices, invite them over to cook a healthier meal together. Or if a certain gym time doesn’t make you feel good or excited about working out – or makes you feel like avoiding it altogether – try another gym time or consider working out with a partner. “Forming good habits is the best way to use willpower. Develop habits of healthy eating and you won’t need as much willpower.” Baumeister says. The next part of the equation: be specific. Rather than tell yourself you want to be healthier this year, focus on one goal at a time and break it down into a more specific behaviour. For instance, let’s get one 30-minute HIIT workout done. It’s easier to tackle big problems if you take it on in small manageable steps, Baruch-Feldman explains. “When we commit to and see healthy habits as a ‘want to’ instead of a ‘have to,’ we can grow stronger and be more willing to try hard things,” Baruch-Feldman says. Once you tackle a challenge – let’s say you sign up for your first 5K – you may build your confidence and feel inspired to sign up for more races. It’s all about viewing health and fitness challenges as something you want to accomplish to better yourself rather than something you need to do. Tell your other half, mam, brother, co-worker – or anyone who’ll listen – that you are working on a goal. “By letting people know what you are doing, you build both support and accountability,” Baruch-Feldman says. Better yet, ask a friend if they’d like to tackle that goal with you. Once you set a goal, find ways to facilitate that goal and make it harder to require willpower. For instance, if your goal is to run after work two days a week, set calendar notifications and pack your running clothes the night before. If your goal is to cut out processed foods, buy plenty of healthy snacks and stash them in your desk drawer, your car, and your gym bag. When willpower wanes, these small but mighty steps can help you stay on track. Willpower should be a tool to help you workout when you’d rather watch TV, power through a tough HIIT interval, or pass up a second cookie. Flexing your willpower doesn’t have to mean going for a 10-mile run when you have the flu. If you slip up, don’t abandon your goals. Learn from the way your willpower ebbs and flows and be kind to yourself.